Easy day! I don't mind at all, as my legs are still pretty tired. 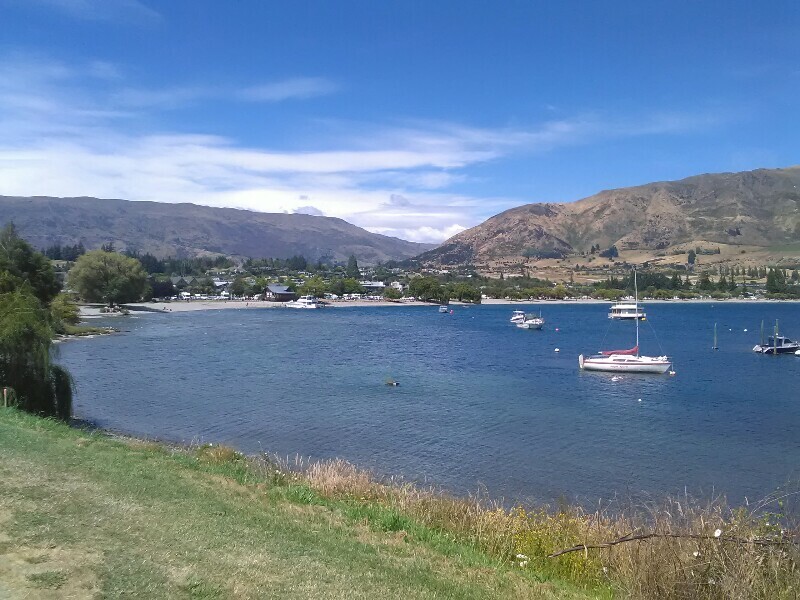 From Hawea along Hawea River to Albert Town, from there along the wide Clutha River to Lake Wanaka - all flat, the whole walk on cycleways. 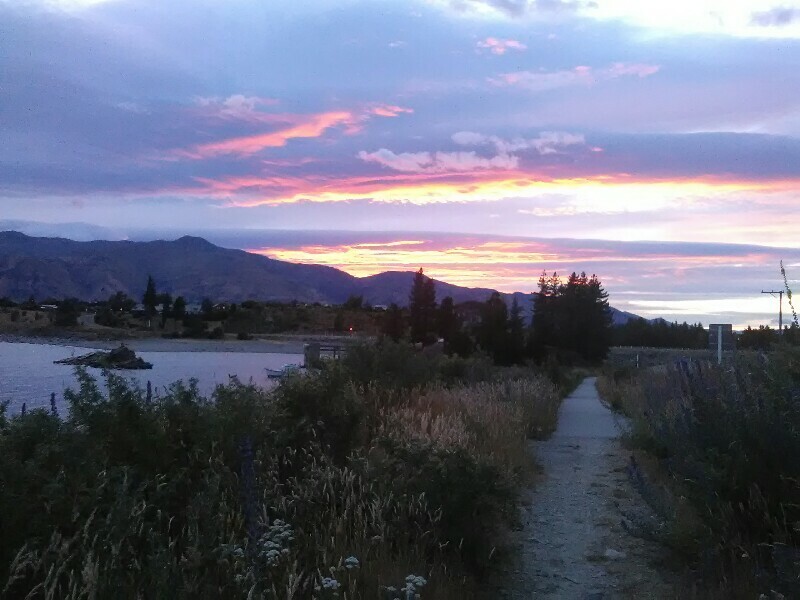 Whereas the first part to Albert Town is rather dull and forgettable (with the exception of a wonderful morning sky), the second part along Clutha River and Lake Wanaka is a pleasant walk with great views of the lake with high mountains behind. 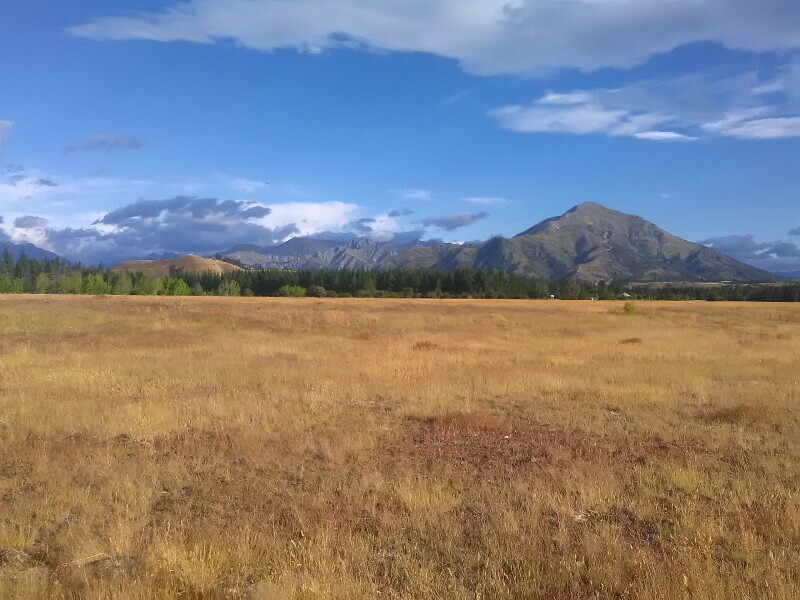 The closer to Wanaka, the busier the track. Due to the fantastic, hot weather, heaps of cyclists, joggers and pedestrians are sharing the track, which luckily is wide. 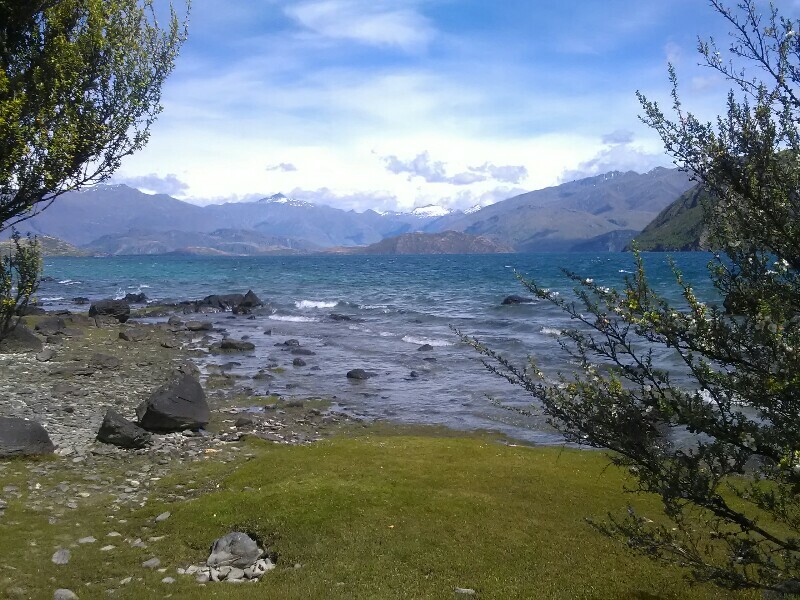 Around noon, I enter Wanaka, which is packed with tourists and I'm actually quite glad that I booked and paid a bed in the YHA yesterday. The guy at the reception, a (former?) TA hiker himself, is super friendly and even refunds me 7 Dollars as I'm eligible for a "Low Carbon Traveller" discount that most YHA hostels offer to TA-hikers. 20$ for a bed in a dorm - quite a bargain! With the whole afternoon still ahead of me, I'm in no rush to resupply for tomorrow and spend most of the afternoon relaxing on the lake. As it gets a bit chilly, I cross the street to resupply in the supermarket and cross yet another street to get back to the YHA (yep, Wanaka is compact) to repack everything and to get rid of unnecessary packing. With that done, there is really not much else to do than to rest. 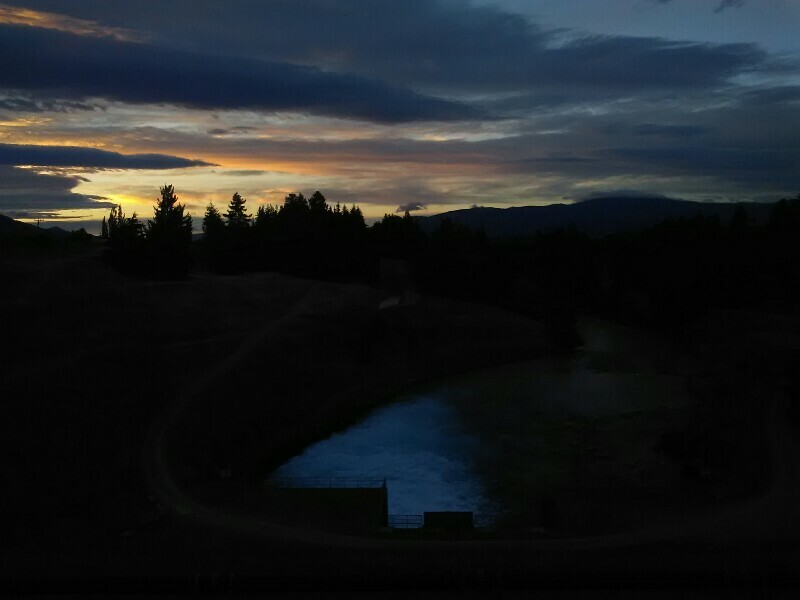 Well needed rest for the upcoming Motatapu Alpine Track, which, according to the NOBO's I've met, is a tough nut to crack!